Having a party? 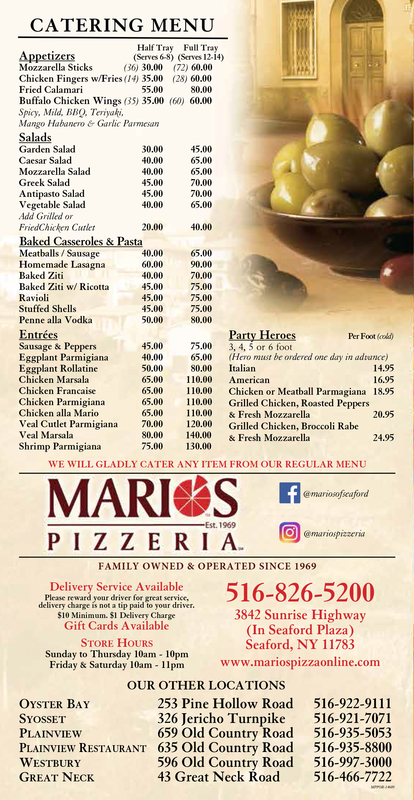 Mario's Pizzeria has been the best solution to the catering question. You spend time with your guests and leave the food to us.